Coconut Oil acts deeply moisturizing for your entire body. 1.) Apply a small amount of coconut oil on after bathing or showering to your body. Smaller amounts of coconut oil can be better absorbed by the skin when the skin is still warm. 2.) 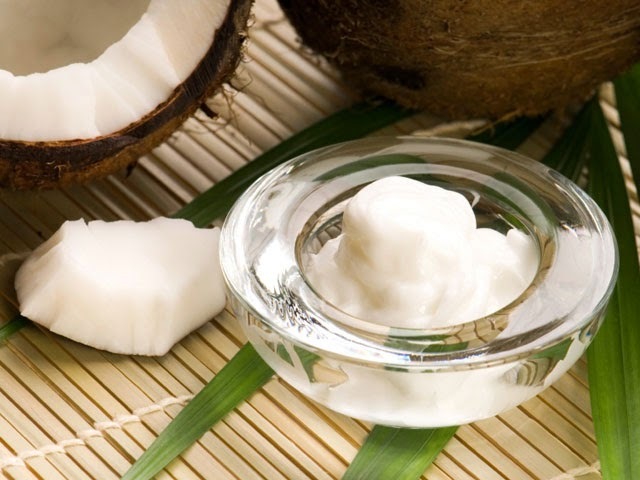 Use a tablespoon of coconut oil to moisturize your arms. Put a tablespoon of oil on your arm. Rub it with the other hand until the coconut oil is melted on your skin. Spread it evenly and rub until it's gone. Repeating with the other arm. 3.) Use it as a moisturizer for your legs. Spread two tablespoons of thigh, knee, lower leg and foot. Grater, until the oil is absorbed into the skin. Repeat with the other leg. 4.) Use another tablespoon for the upper body. Rub it on the back, buttocks, stomach, chest and anywhere else where moisture is needed. You can use as a normal lotion coconut oil. 5.) Let the coconut oil feeding. It may take 15 minutes, until the oil is completely absorbed by the skin. Stay in the meantime, in the bathroom or put on a bathrobe, so that the oil does not get onto your beautiful furniture or clothing.